Oh, Dear Amelia! How Sweet And Divine You Are. 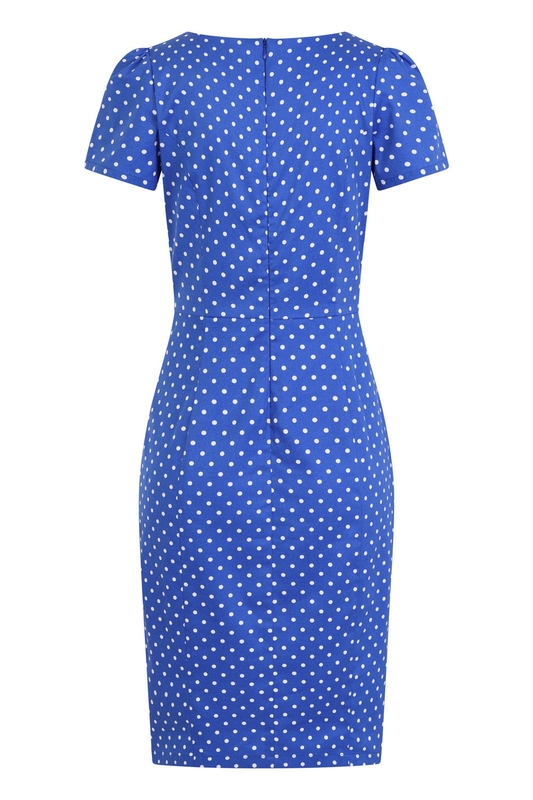 Hearts And Roses Newest And Latest Edit In The Most Popular Vintage Themed Style; Polka Dots. 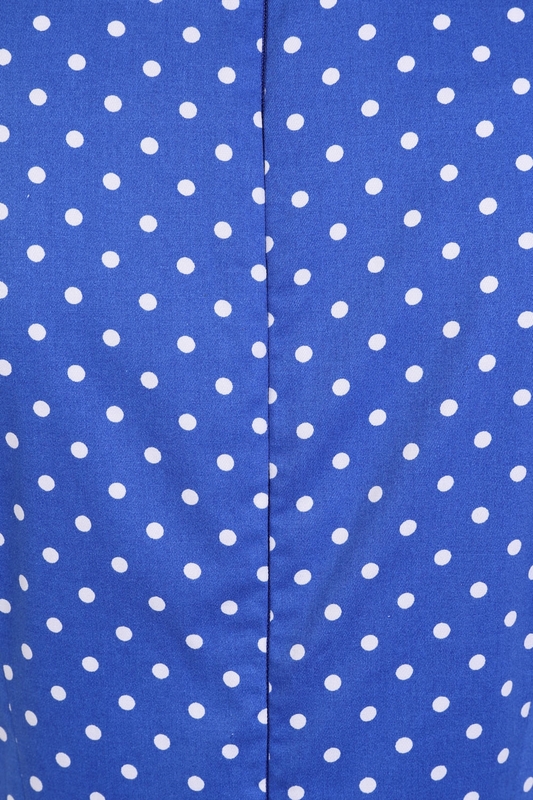 The Print Features Small Defined White Dots, On A Stretchy Plain Blue Cotton Fabric. A True Feminine Style For A Sophisticated, Feminine Lady. The Neckline Details A Wrap Look Top With Gathered Yoke Seams, Short Sleeves While We Have A Fitted Bodice Featuring A Stylised Waistband To Accentuate The Waist. Oo La, While We Finish The Style Off With A Small Detailed Slit At The Bottom Right Hand As Worn. 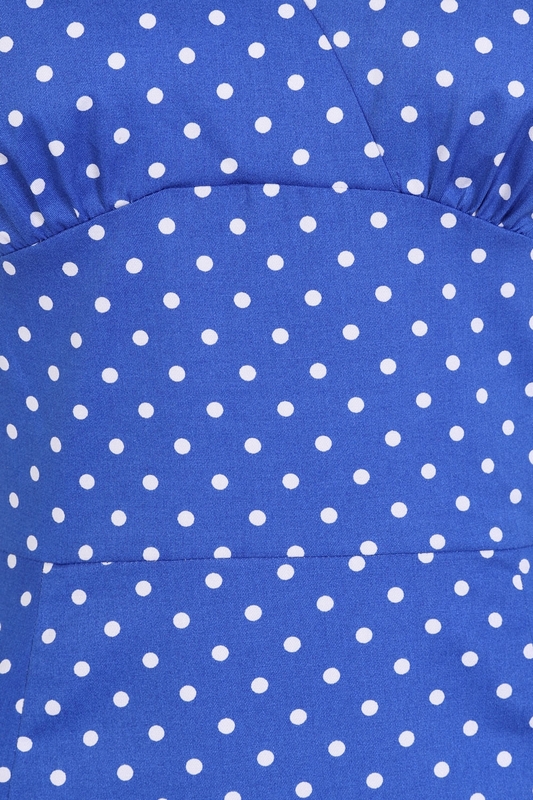 We Know You Love Polka Dots, And Our Polka Dot Styles Love You.